The event site is located at the end of the junction of Lornie Road & Thomson Road (Map - Click HERE). 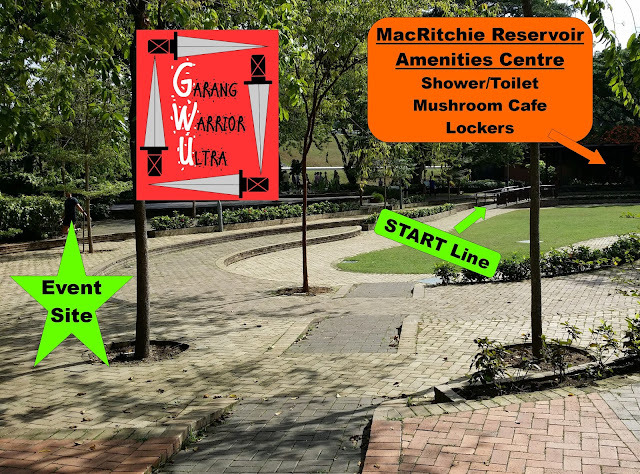 NOTE: After about 2.3km, Participants will need to turn left just after Jering Hut (as indicated on the map above) to head to Lornie Road and back to the Finish. Please refer to above Route map indicating the junctions which are marked by yellow circles with numbers 1 to 6. Flag off is at 7am. After the flag off, participants will run towards & up the ramp. NOTE: Please do not rush as you enter the ramp as it is narrow. You will make a right turn after the ramp. 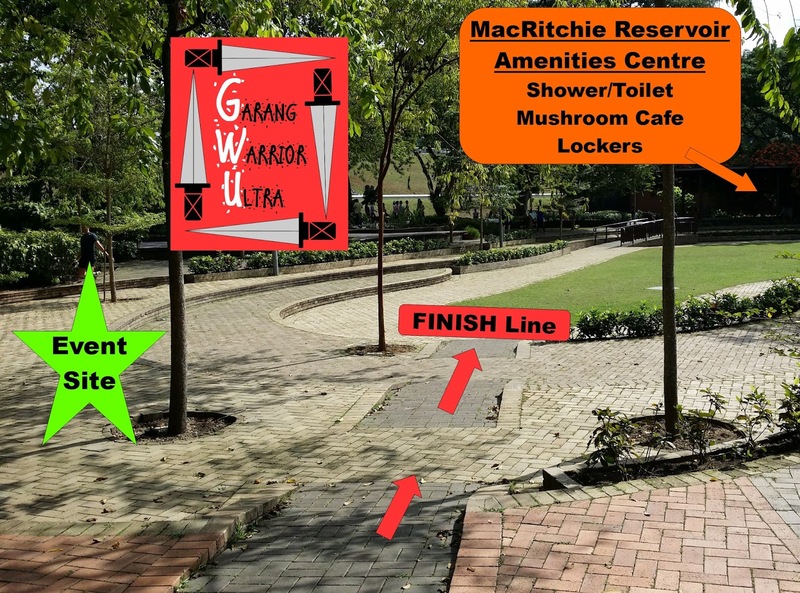 After the start line, enter & go up the ramp, then turn right as indicated by the green arrows on the photo above. 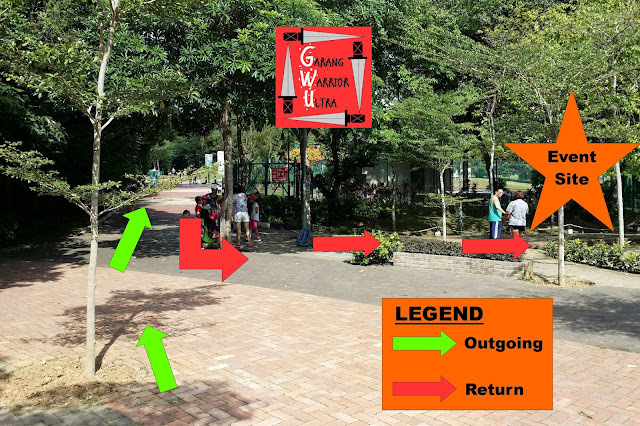 If you wish to do more loops after completing each loop, please continue after the "Finish Line" and follow the same path you took from the "Start" line. Please cross the "Finish" Line timing mat BEFORE you refill/rest/eat from the support station/decide to stop. The path after you go up the ramp, heading outwards to start the loop. 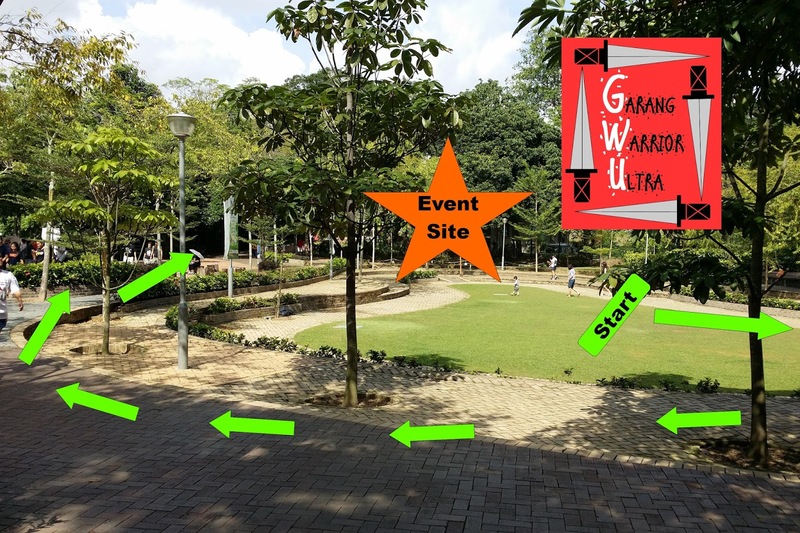 You will pass by the event site, which will be on your right. 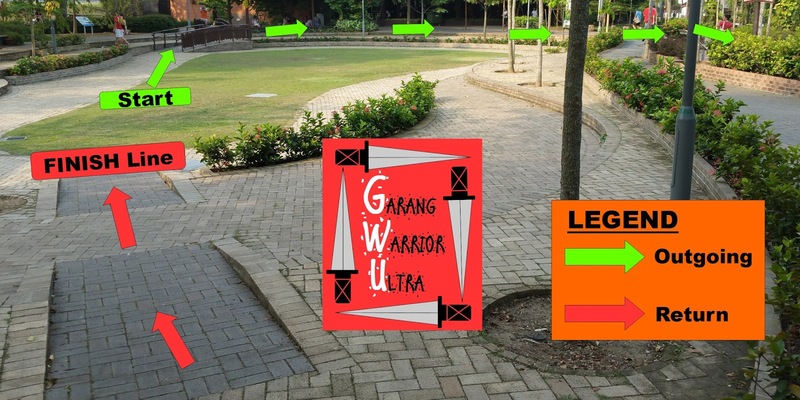 Warriors who have just started a new loop, please go straight (as indicated by the green arrows on the photo above) & enter the upslope. 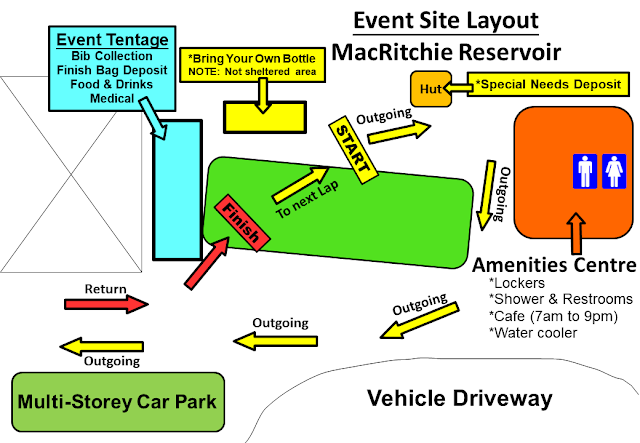 The event site tentage will be on your right. Warriors who are returning back to complete a loop, please turn left after the downslope. The event site tentage will be on your left. You will then proceed down a short ramp to the timing mat at the "Finish Line"
There will be a timing mat placed at the "Finish Line". To ensure your timing is accurately captured, please ensure you cross the timing mat BEFORE you refill/eat/rest/continue another loop/decide to stop.